Born June 20, 1994, in Katowice, Poland, Zuzanna Bijoch won the competition “Bravo, Girl!” in 2007. Meanwhile, the green-eyed brunette Zuzanna Bijoch made her debut in 2011, when Miuccia Prada had chosen her to face their latest campaign. And after that, Zuzanna signed an exclusive contract. Noteworthy, in the world ranking Models she took 19th place among the Top 50 models. She looks especially beautiful in ads of such jewellery brands as Yes jewellery, Manuel Gomes da Costa Watches & Jewelry, and more. 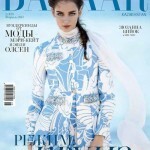 Gorgeous Zuzanna Bijoch graces the cover of January 2015 Harper’s Bazaar Kazakhstan. The author of the photo shot – Riccardo Vimercati. 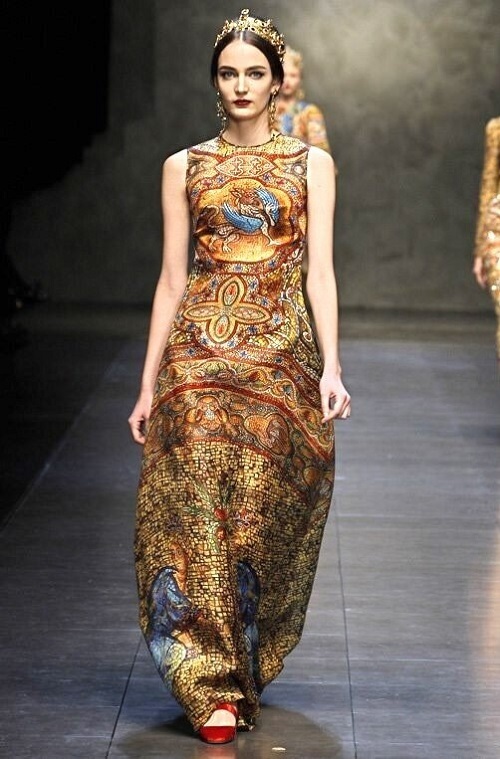 In fact, Zuzanna Bijoch has participated in shows of various prestigious designers and fashion houses. In particular, Prada, Gucci, Christian Dior, Valentino, Givenchy, Alexander McQueen, Alexander Wang, Calvin Klein, Chanel, Dolce & Gabbana, Elie Saab, Fendi, Jean Paul Gaultier, Louis Vuitton, Marc Jacobs, Max Mara, Moschino, Nina Ricci, Oscar De La Renta, Roberto Cavalli, Versace, Yves Saint Laurent, and many others. 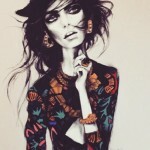 Zuzanna Bijoch appeared in magazines, like V magazine, Love magazine, Dazed & Confused, Elle, Vogue, Harper’s Bazaar, Glamour. Her next success was the campaign for the French giant fashion house Louis Vuitton. In 2011, Zuzanna Bijoch appeared on the cover of the Mexican edition of Vogue and Elle of Polish edition magazine. She became the face of YSL mascara. Her elder sister Julia Bijoch also deals with modeling (working for the agency D’Vision), but did not reach the same success as her younger sister.